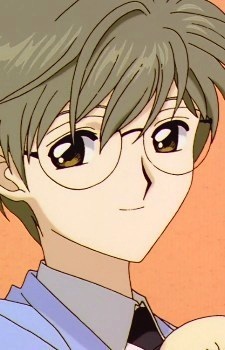 In Cardcaptor Sakura: From the moment Yukito is introduced, it is clear that Sakura has an enormous crush on him. She continually marvels that he can be friends with her "barbaric brother." Everyone involved, including Yukito himself, believes that his meeting Toya in junior high school three years ago had been coincidence. However, Yukito's nature as the false form of Yue also means that many of the things he thought he knew about himself are false. He lives in an elaborate house with his grandparents (the house is real, but the grandparents do not exist). In fact, it is unclear whether or not Yukito himself existed at all before his meeting with Toya and introduction to Sakura. Yukito is peripherally involved in many of Sakura's adventures as the Cardcaptor, mainly because of Sakura's crush on him and his close proximity to the Kinomoto family. In the process, Yukito becomes the object of another juvenile crush; this one held by Syaoran Li. However, it is discovered later that Syaoran was just attracted to the magical energies of the moon residing within Yukito, as Syaoran draws his magical power from the moon. Not until the last Clow Card is collected does Yukito's true form, Yue, emerge and challenge Sakura's right to the cards. Afterwards, the Yukito and Yue personalities coexist, with Yukito unaware of Yue's presence. Unfortunately, the strain on Yue's energies becomes so great that even Yukito's massive consumption of food can no longer support it. Yukito begins to fall ill, becoming drowsy, falling asleep at the slightest opportunity, and eventually beginning to fade away altogether. The only thing that can save him is a massive infusion of magical energy, which Yue finally receives from Toya (whose earlier efforts to warn Yukito of his plight were continually interrupted by the aggressive Nakuru Akizuki, also known as Eriol Hiiragizawa's Moon Guardian, Ruby Moon). Soon afterwards, Yukito listens to and very gently declines Sakura's confession. He has always been aware of Sakura's feelings but tells her that he believes they are more platonic (as Yukito resembles Sakura's father) than romantic. Sakura immediately realizes that "the one (Yukito) likes best" is in fact Toya. Earlier that day, Yukito had told Toya how alarmed he was that he had suddenly learned about the existence of the Yue identity and the falsehood of most of his memories, but Toya replies that it doesn't matter to him since the moments they have shared together are real. After Yukito rejects Sakura the two of them seem to adopt a brother-sister type of relationship. In the manga, Yukito is last seen in the Kinomoto kitchen with Toya, helping to prepare breakfast. There's a similar scene in the anime series, where they're preparing lunch. This somewhat implies that Toya has come to fully understand Yukito's feelings for him and reciprocates them.